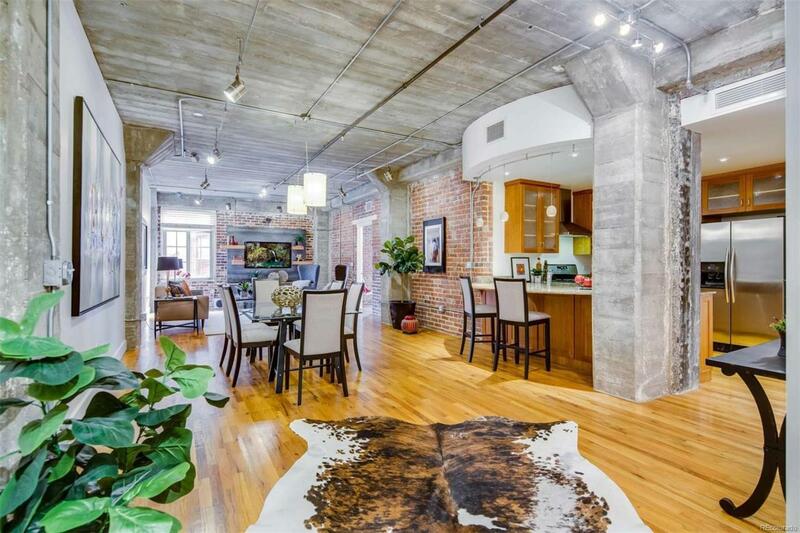 Exquisite, historic, true loft with a grand and open floor-plan in the heart of LoDo. Architectural design features include: concrete columns, exposed brick walls, hardwood floors throughout, custom built-in entertainment center, modern track lighting, slab granite counters, natural wood closet doors, one car underground parking, 2-bedroom suites are private with en-suite bathrooms, common rooftop deck includes grill and dining table. The Observation Tower delivers spectacular skyline views.